Is a process servicing company that services law firms of any size and type, if it is a case to be serves or a document to be filed in court, we handle it all. JRM Process Services is a process serving company that is based out of Troy Michigan. The company was incorporated on February 8th 2002, JRM is uniquely positioned to give the attention and personalized service that law firms expect. At JRM we are focused on detail and timely service that is necessary to keep your cases on track. With JRM you are assured personal service that is combined with a satisfaction guarantee or your money back. We strongly advocate that our company is only as worthy as the promises we keep, so if you are tired of all the companies that over promise and underperform please give us a call today. 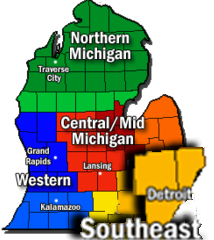 Serving Southeast Michigan: Wayne, Oakland, and Macomb Counties. Clinton Twp. Eastpointe, Harrison Twp, Macomb Twp, Mount Clemens, Roseville, Shelby Twp, St. Clair Shores, Sterling Heights, Utica and Warren. Auburn Hills, Berkley, Beverly Hills, Bingham Farms, Clawson, Commerce, Commerce Twp, Farmington, Farmington Hills, Ferndale, Franklin, Highland, Hazel Park, Lake Orion, Leonard, Madison Hts, Milford, Novi, Oak Park, Oxford, Pleasant Ridge, Pontiac, Rochester, Rochester Hills, Royal Oak, Southfield, South Lyon, Troy and Walled Lake. Allen Park, Belleville, Canton, Dearborn, Dearborn Heights, Detroit, Ecorse, Flat Rock, Garden City, Gibraltar, Grosse Ile, Grosse Pointe Farms, Grosse Point Park, Grosse Point Shores, Grosse Point Woods, Hamtramck, Harper Woods, Highland Park, Inkster, Lincoln Park, Livonia, Melvindale, Northville, Plymouth, Redford, River Rouge, Romulus, Southgate, Taylor, Trenton, Wayne, Westland, Woodhaven, and Wyandotte. 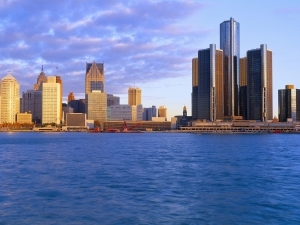 Detroit: City and 36th District Court Filings.